Richard Powers is an American novelist and former computer programmer who has taught at the University of Illinois and Stanford University. He is the author of twelve novels, most recently The Overstory. He is the recipient of a MacArthur Fellowship and the National Book Award, and he has been a Pulitzer Prize and four-time National Book Critics Circle Award finalist. He lives in the foothills of the Great Smoky Mountains. CLICK HERE FOR MORE STORIES BY RICHARD POWERS. … when you cut down a tree, what you make from it should be at least as miraculous as what you cut down. 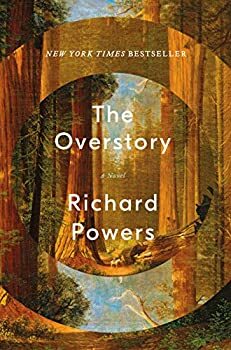 The Overstory (2018) is a powerful, literary novel, shortlisted for the 2018 Man Booker Prize. It sings, in part, a paean to the wonders of trees and the multitude of wonders that old-growth forests and a variety of trees brings to our world. It also mourns a tragedy: how humans relentlessly annihilate these priceless resources, and what drives some people to eco-terrorism.